Once deemed a "romantic revolutionary" by Le Corbusier himself, Flávio de Carvalho was one of the most influential figures of the Brazilian modernist movement. The graphic and tribal-inspired FDC1 chair is one of his most celebrated designs. Made from full-grain vegetable tanned leather, wrapped around an angular steel frame, the avant-garde chair stands as a sculptural work of art in any room. Available in three leather options. 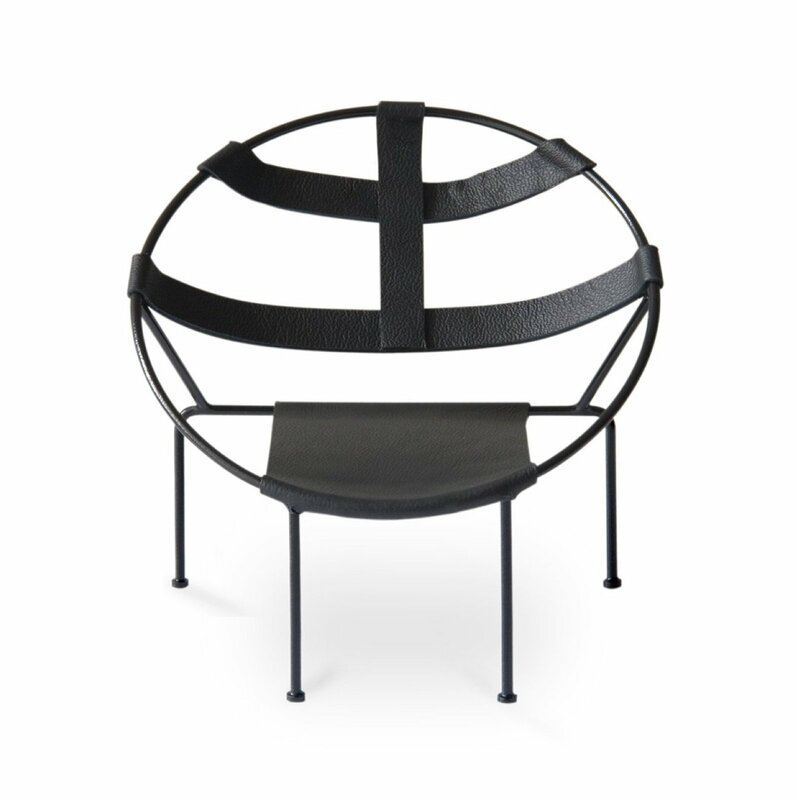 Manufactured in France by Objekto, a French-Brazilian purveyor of design. This product is certified authentic and produced to the designer’s original specifications.